Thinking of booking a family holiday to the Isle of Skye? 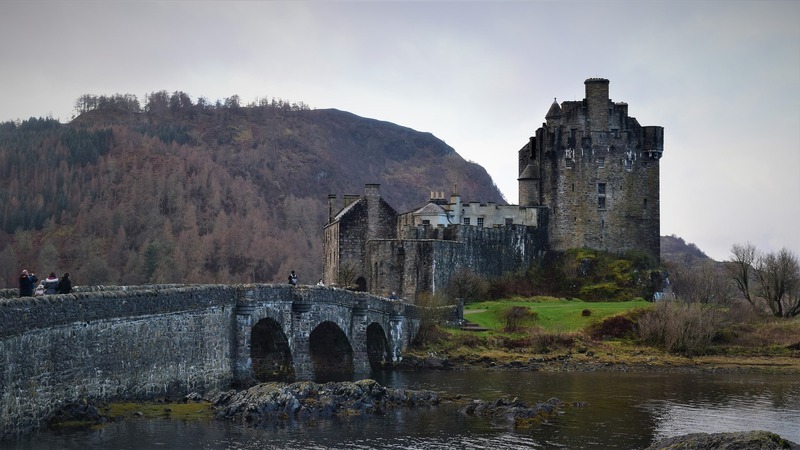 From walking in the footsteps of dinasours to trying to spot real life fairies at The Fairy Pools, Skye is an absolute haven of imagination for your kids. Famous for its spectacular scenery and interesting history, families are welcomed with several child-friendly things to do and see. With a variety of spacious and cosy homes to choose from, planning your family getaway to Skye has never been easier. Booking and planning family holidays can be stressful, from finding a property with the correct number of bedrooms to mum and dad having the typical job of making sure the kids are entertained, we know it takes a lot of thought. So, sit back, grab a cup of coffee or a snack and let us take some of the stress away! 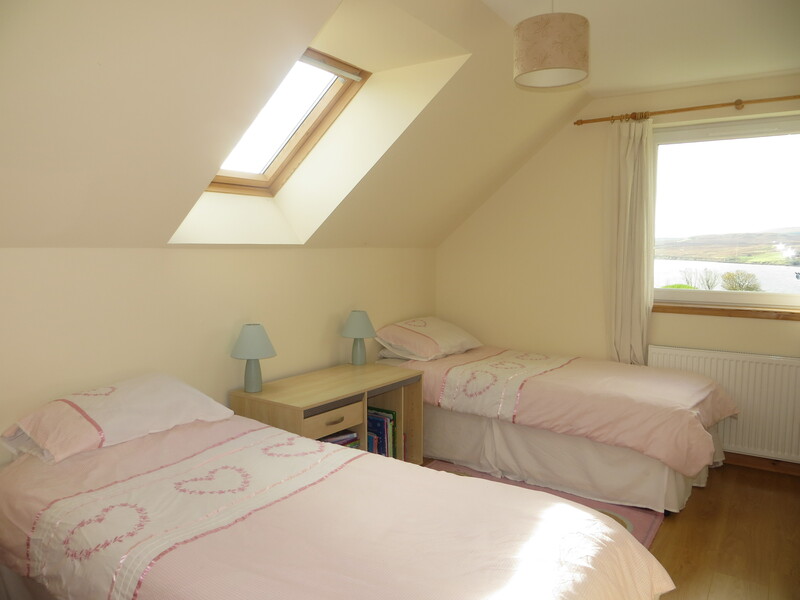 Situated in Fanks, North West Skye, this modern and stylish home features a TV, DVD player, Nintendo Wii and WiFi. So, if you are bringing your teenagers with you, this could be the house for you. With a wendy house and a swing for the little ones in the garden and a picnic bench for a family lunch, this modern and stylish home has a lot to offer. Based in the Portree area, Glen Osdale is only a 10 -15 minute drive to Portree town centre, a great location for seeing the whole of Skye. Set in a crofting community amongst the hills, there is plenty of space for the kids to go on adventures outsid. Also featuring a TV, WiFi, a DVD player and plenty of books for entertainment, your family will have plenty of options for evening entertainment. 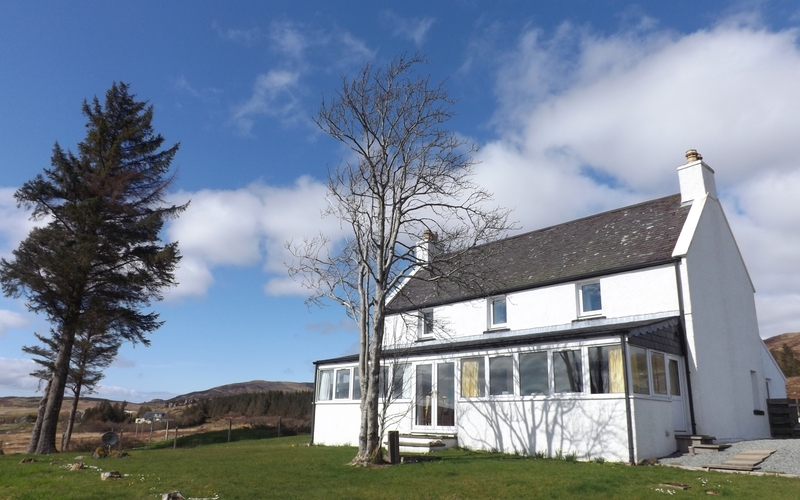 On the shores of Loch Dunvegan, this comfortable home is perfect for families. The adults can enjoy a cosy night in by the log burner while the kids (or big kids!) 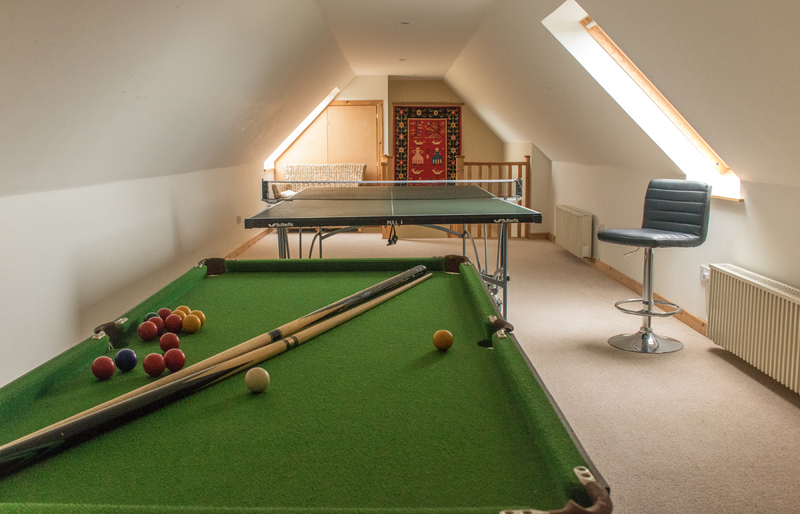 explore the excitement of the games room. The kids certainly won’t be bored with a mini snooker table, table tennis, games and toys. There is easy access to the shore directly outside the house for lots of outdoor entertainment too. The village of Dunvegan is just a short walk away, so you can find shops, restaurants and popular attractions nearby. 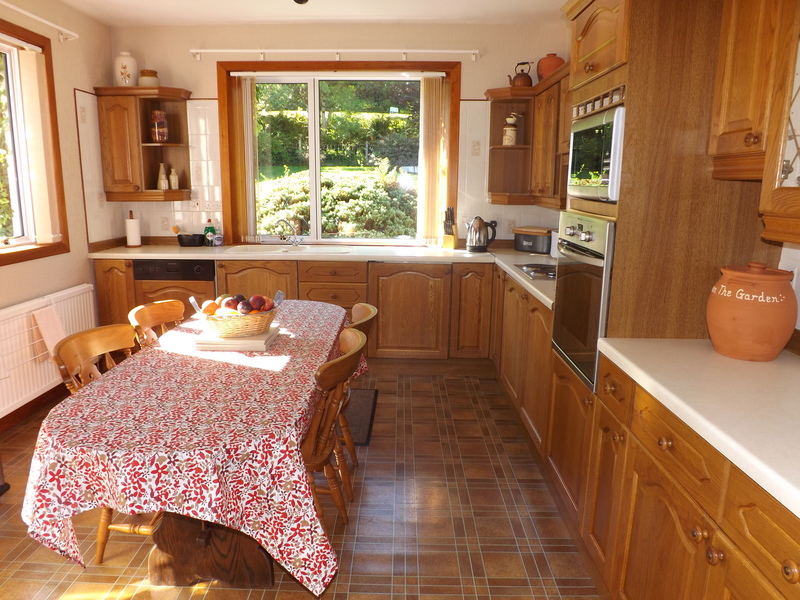 Featuring impressive views over Portree Bay, Ard Choille is a spacious and cosy family home. Indulge in family meals with the use of the well-equipped farmhouse kitchen and dining room. Enjoy the use of games and DVD’s for the whole family during your stay here. Take in views of the Cuillin Mountains from this spacious family home! 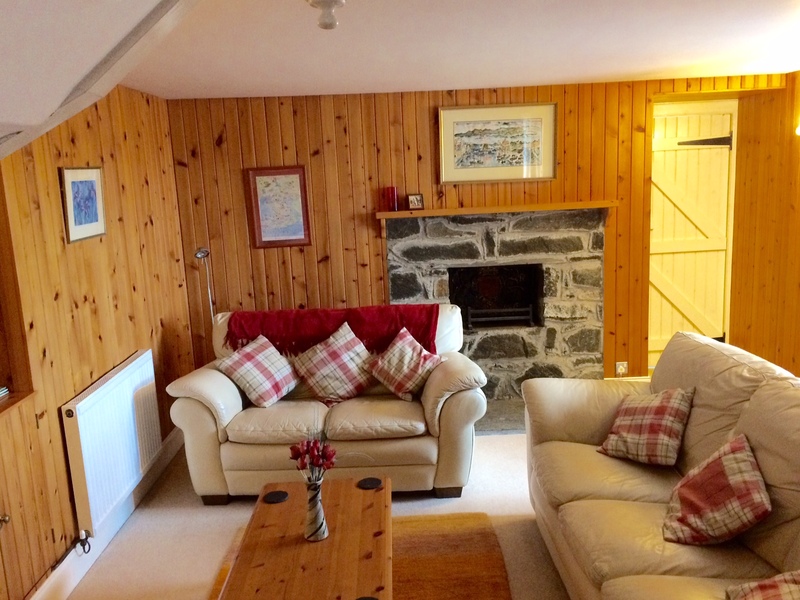 Located just 3 miles from Portree, it is close to amenities for fun days out. Don’t worry about keeping children occupied during your stay here as a selection of books, DVD’s, and board games will be waiting for you in the house. With a large family dining table, a well-equipped kitchen, cosy sofas and a garden to play out in, this may be the home away from home for you. Walking and hiking is the main reason most people visit the Isle of Skye. However, if you are bringing little ones with you, some of Skye’s most popular walks probably won’t be on the agenda. You may think this limits what you can do though, right? Well, hold that thought because we don’t think so. There are many hidden gems around the island that feature easier walks for children and adults alike. Here we highlight places to go that will bring your children’s imagination to life and encourage them to be passionate about wildlife! The Coral Beach in Dunvegan is a great spot for a family picnic. It is incredibly tempting to take a swim in the tropical blue water when the sun is out! Staffin Beach is popular for families holidaying in Skye. The home to some remarkable dinosaur footprints, your little ones will be entertained for hours when searching for them. The best time to see the footprints is the winter time. With the sand swept away by the sea, they are much easier to find – so don’t let a cold day stop your visit to Staffin Beach. The Point of Sleat is a pleasant walk to the very southern point of Skye. It is one of the longer walks and the path rises and drops quite often, so keep in mind that younger ones might not want to walk the whole way. 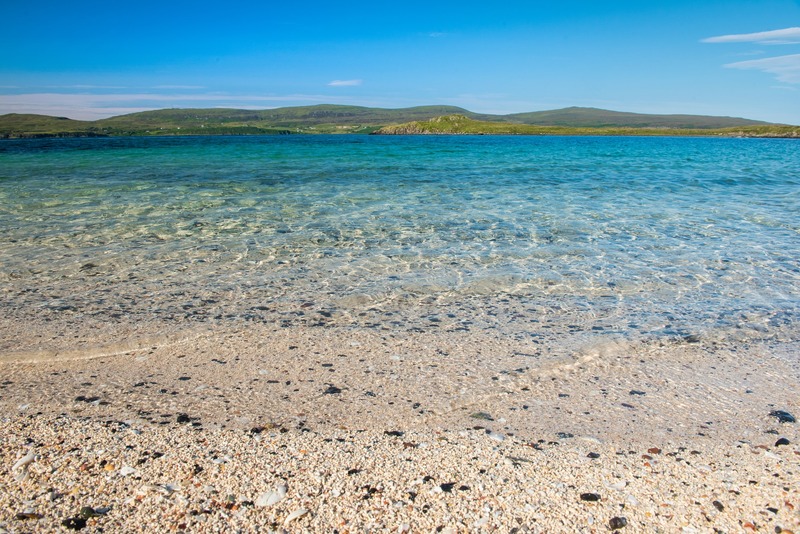 When you get about half way, you can stop at a little white sandy beach, Camas Daraich, for a bite to eat or a swim – a total hidden gem! You may even be able to spot seals basking on the rocks round the side of the bay. One of the best ways to spot wildlife during your visit is by taking a boat trip. Taking the family to admire all different kinds of birds, seals, otters and dolphins is a memorable experience to say the least. Boat trips can be taken from a few different areas in Skye such as Calum’s Seal Trips in Plockton, Bella Jane Boat Trips in Elgol and several options from the harbour in Portree. To spot even more wildlife, take the Kylerhea ferry to Glenelg and visit the Brochs. 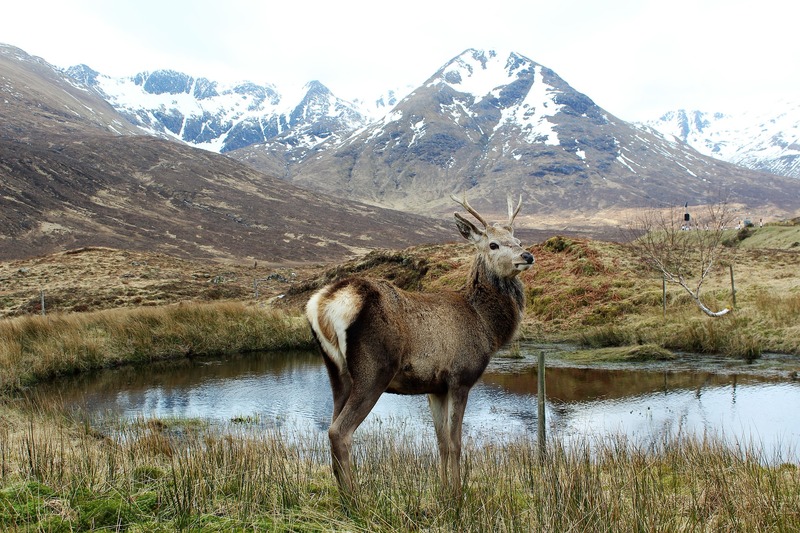 Continue round to Loch Hourn (Arnisdale and Corran) where you might meet the local “friendly” stags who are more than happy to be fed by hand. Learn about the history of Skye 100 years ago at the award-winning attraction, Skye Museum of Island Life. An unmissable attraction for the family! Staffin Dinosaur Museum is another fantastic attraction, we recommend making a stop here during your visit to Staffin Beach. The only dinosaur museum in Skye will leave your little ones amazed and curious to learn more. Let your children’s imagination wander at any of Skye’s magical destinations. From exploring the whimsical Fairy-Glen to playing make believe at Dunvegan Castle, the options are endless! An exciting day out can be had at Dunvegan Castle! With stunning gardens, boat trips to Loch Dunvegan and MacLeod Tables Café, this is a highly recommended family favourite. Depending on what month you visit, you can even take part in some of the events and exhibitions at the castle such as the popular community event held in early November. Revel in some more of Skye’s history at this 1700s castle, former home of the MacDonalds. Here you can find the castle gardens with a wooden play area and a hidden Viking long boat in the woods – a great adventure for the kids! Nature walks can be taken from Armadale Pier, a fantastic opportunity to spot wildlife. For those who would like to know more about the history, there is a museum and a library at the castle too. Take a trip to the Aros Centre in Portree for shopping, food and more! Skye’s very own cinema is situated in the centre, with plenty of family friendly films on over the Summer. Go on a treasure hunt around Portree and explore the village along the way! The trail starts by the sea and leads you around the village and harbour – a simple yet effective way to keep the kids active. Experience an adventurous pony trek from Portree with The Isle of Skye Trekking and Therapy Centre. It doesn’t matter if you are experienced in riding or a beginner, this is a super fun way to enjoy the views around the island! 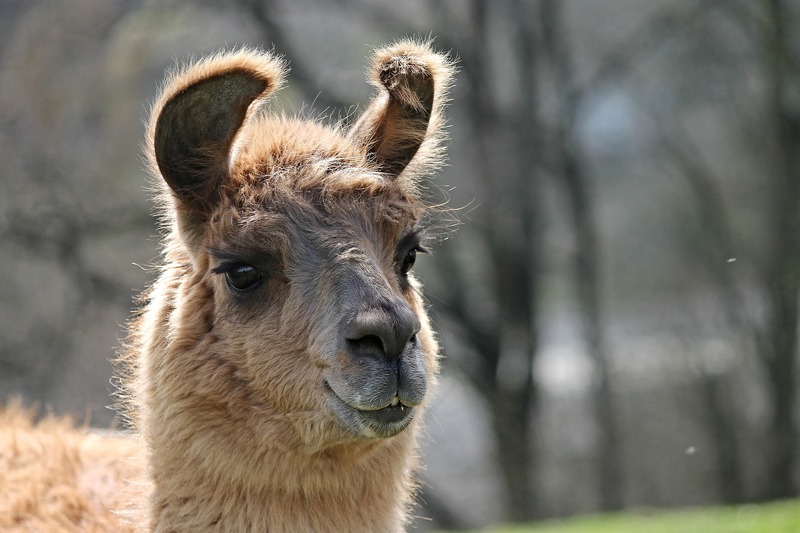 If you really want to take part in something unique, why not book a walk with a difference with Lochend Llama Treks and take in the scenery accompanied by llamas! Yep, you read that right, we really did say llamas.